About 13,000 military personnel have been purged over the last five years, according to Liang Wengang, the deputy director of the Chinese military’s anti-corruption agency, in an interview with a semi-official Chinese paper on Sept. 20. Why it matters: Chinese leaders that control the military control the Chinese Communist Party (CCP). But the military was under the sway of former CCP leader Jiang Zemin for at least 15 years (1997-2012), and his deeply rooted influence lingers today. Under Jiang, the military became very corrupt and engaged in murder for profit: Officers climbed the career ladder by purchasing higher ranks, and military hospitals harvested the organs of still-living Falun Gong practitioners. Since taking office in 2012, Chinese leader Xi Jinping has been cleansing the military of corrupt personnel and those involved in Jiang’s once powerful faction in order have enough power to push through his own agenda without interference. 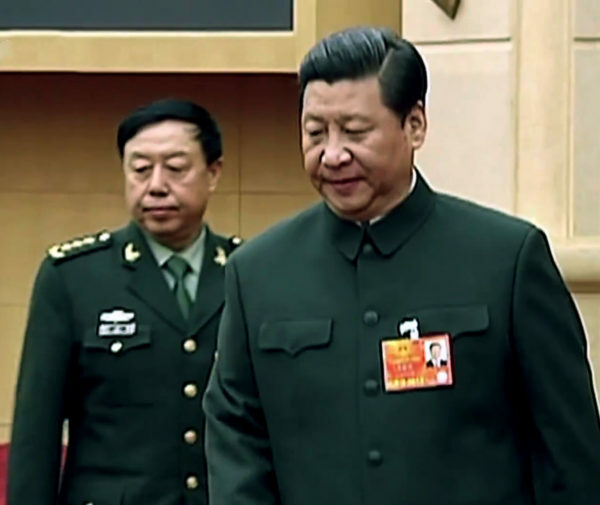 Xi cleans house: To date, at least 66 high-ranking officers have been purged, including former military vice chairs and Jiang faction elites Guo Boxiong and Xu Caihou, as well as prominent generals Tian Xiusi, Zhang Shutian, Wang Jianping, and Wang Xibin. This August, Chief of the Joint Staff Fang Fenghui and top political commissar Zhang Yang were suddenly replaced and placed under investigation. The two are not included on the list of delegates for the 19th Party Congress either. Contact us for more in-depth analysis about Xi Jinping’s military reforms.